Urology information - John Donohue. Welcome to my website. 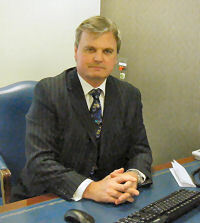 I am a consultant urological surgeon in Maidstone and Tunbridge Wells NHS Trust. I decided to develop this website to assist patients in understanding urology and associated conditions. Urological conditions are often complex and confusing and unfortunately, there is a limited time that I can spend with patients. I have developed many presentations to help explain in clinic many of the common urological conditions that I treat. Increasingly, I have been asked by my patients if these presentations are available on-line and for website recommendations where they can do their own reading and research. As a result of these requests, I have started this website. The primary aim is to assist my patients to obtain a better understanding of their condition and help them in making a decision with regard to potential treatments. I have to stress that this website is only a guide and is primarily aimed at my patients to be used in conjunction with meeting my team or me. However, I am delighted if anyone reads it and develops a better understanding of urology. The information that is on this website is my personal opinion and such information must be used as a guide only. Doctors have many opinions on a variety of topics and often don't agree - there is often no definite answer in medicine and my intention is to enhance understanding of a condition. If you are not one of my patients, I would still be delighted if you read this website and I hope that you will gain an understanding of some very complex issues and use the information when you meet with your doctor.